Just when we thought they had ended, we received yet another e-mail from a detractor critical of our failed efforts last spring to prevent an ill-conceived partial re-opening of the spring bear hunt. Attached to it was this URL, which tells of an effort to move a "nuisance" mother black bear and her two cubs in the Yukon that failed when the bears returned. The mother was killed, leaving the cubs orphaned. But, what is so sad is that this is just one of numerous e-mails and phone calls we received in response to opposing the spring bear hunt, all with a similar theme. The criticism involves the Greater Toronto Area: Canada's most urbanized area, where many of us live, but where bears are rare or absent. The assumption is that we are all a bunch of overly-compassionate urbanites who don't experience nature in the raw, and who don't feel the need to protect ourselves, and who know nothing about animals. It means that they're unable to comprehend what we're really saying. The irony is that the article to which this e-mailer points actually makes our point. By "our," I refer to an assortment of people with diverse addresses (including central and northern Ontario) and experiences with bears. As professional advocates on behalf of animals, we first look at what the experts say. That includes the scientists employed by the Ontario Minister of Natural Resources and Forestry, who have long researched the "nuisance bear" issue-not by sitting in city apartments, but by employing various technologies to study bears in the field. It's not that we would uncritically agree with them; but, in the case of the then-Minister of Natural Resources and Forestry, their findings-that the spring bear hunt made no measurable difference in the number of incidents involving "nuisance" bears-were not even considered. He knew that people like our critics hadn't read them either... that they simply feared bears, and could easily be duped into thinking he and his government, facing an election, had their better interest in mind by bringing back the spring bear hunt in several jurisdictions to "test" the results. Contrary to our critic's belief that we are a bunch of urbanites, our numbers do include northerners. Mike McIntosh runs Bear With Us and lives in the presence of wild and tame bears that he sees and interacts with each day of the spring, summer, and fall. He, like the scientists whose work we cite, is likely far more involved with bears than our critics or politicians. For instance, Jim Johnston not only lives in the north, but took it upon himself to take a course in understanding bears, and then applied that knowledge to a program then funded by the Ministry of Natural Resources-thus significantly reducing the number of "nuisance bear" incidents for Elliot Lake. Even those of us whose primary residence is outside bear habitat have our share of bear experience. For example, I've seen all eight of the world's bears, and am a member of the International Association for Bear Research and Management. This does not make me an expert, but it puts me in touch with those who are, and with their work. The irony: there has long been a spring hunt in the Yukon, which did not prevent "nuisance" behaviour-exactly as we've been saying. The last Canadian killed by a bear died in the wilderness in Alberta two months ago, where, yep... they have a spring bear hunt. Predatory bears kill away from urban areas, and, as we've been saying, do so with extreme rarity. (Lightning is many times more likely to kill you in the woods.) And, this isn't prevented by spring bear hunts. But, what is really telling about the Yukon story is that it verifies two of our most valid concerns. First, we are arguing that the problem is attractants, including garbage dumps not secured by adequate fencing-exactly as described in the Yukon story. Second, the people who shot the female didn't realize that she had cubs (again, as we have been saying). 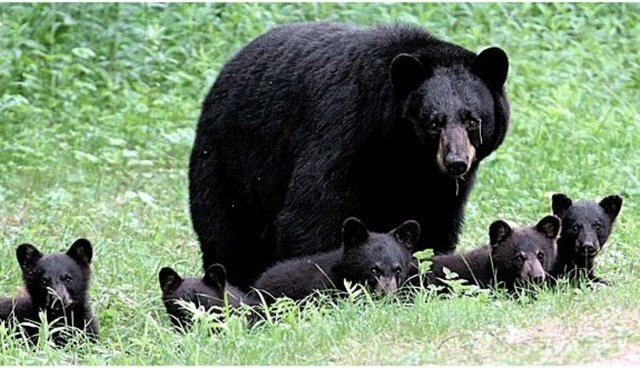 It may be illegal to shoot a female with cubs under the newly instated "test" spring bear hunt in Ontario, but hard facts gleaned by our own government show that nursing females do get shot by hunters who don't realize they are killing lactating females... leaving orphaned cubs to die. Ontario's newly appointed Minister of Natural Resources, Bill Mauro, says that he has yet to receive and review information from this year's hunt. Does it matter? He has already asserted that there are more bears in Ontario than before the spring hunt was ended in 1999: an opinion supported by no empirical evidence. But, politicians don't succeed by depending on facts. They know that there are a lot of people (like the guy who sent us the link to the Yukon article) who think emotively, not analytically-and, to them, facts don't matter.